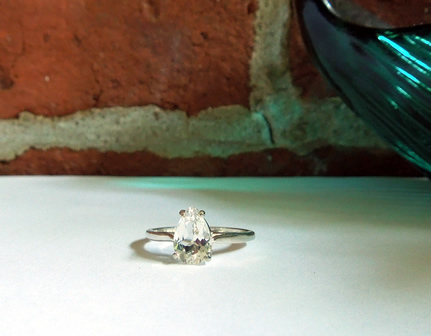 Notes: A beautiful water clear 1.5 ct. pear, or tear drop cut Herkimer birthstone ring. 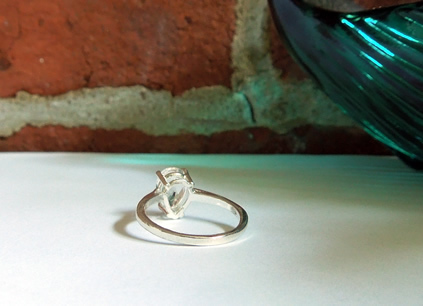 The Herkimer Diamond measures 9x6 mm and sets in a size 6 sterling silver solitaire setting. 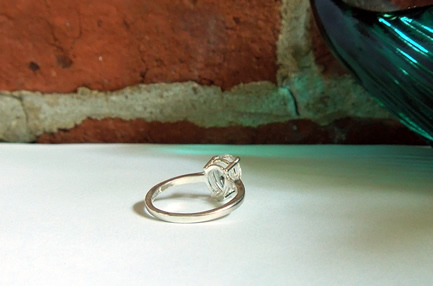 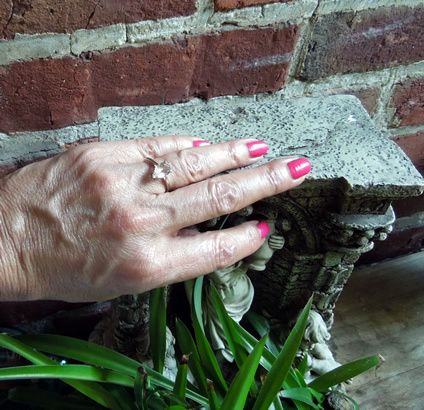 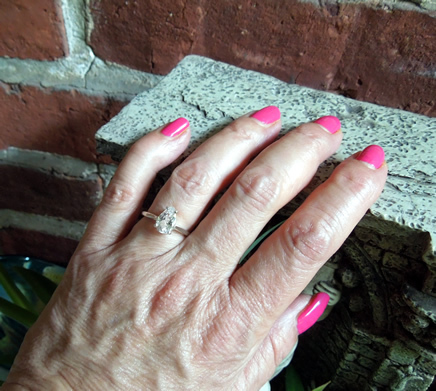 An excellent size for an engagement ring. 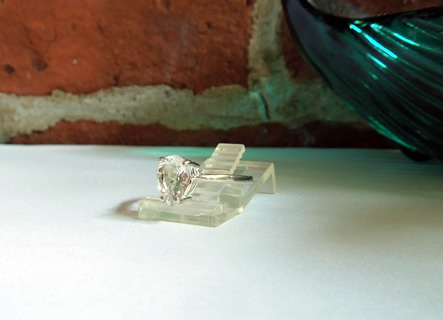 A Herkimer diamond is a nice alternative to the traditional april birthstone, more rare too! 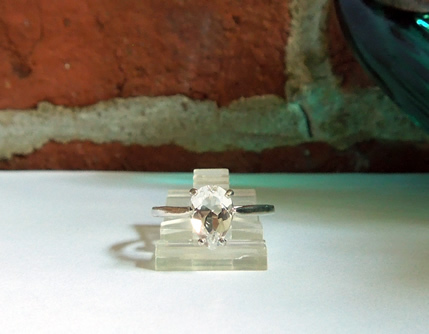 A 1.5 ct. pear, or tear drop cut Herkimer crystal ring.